4S Ranch is a newer San Diego community. The area is part of what was once referred to as Ralphs Ranch because, in 1938, it was purchased by the Ralphs family, owners of the southern California grocery chain. 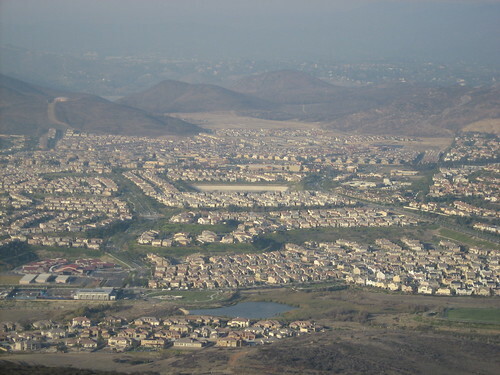 Newland Communities developed 4S Ranch at the height of the housing boom in the mid-2000s as a master planned community. 4S Ranch is located in an area of the City still referred to as the North City Future Urbanizing Area, a 12,000-acre area stretching easterly from Interstate 5 (1-5) and Carmel Valley to the Rancho Peñasquitos and Rancho Bernardo communities. The NCFUA Framework Plan, adopted in October 1992, established five subareas or “neighborhoods.” 4S Ranch is part of the area that was once referred to as Neighborhood I. Located west of Interstate 15 and Rancho Bernardo, and north of Rancho Penasquitos and Black Mountain Ranch, 4S Ranch is a mixed-use community offering a blend of single-and multi-family homes, abundant parks and services, and business park development. The community is home to many hi-tech businesses including Sony, Hewlitt Packard and SAIC. Homes here are subject to both Mello Roos and Homeowners’ Association fees. Residential development tends toward smaller lots, and neighborhoods were designed with a more urban, walk-able feel. Children attend acclaimed Poway schools. Enter your email below to have San Diego blog posts delivered to your email inbox.